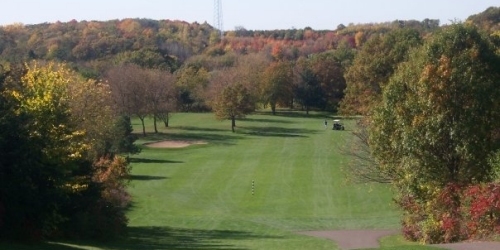 Located only 20 Minutes East of the Twin Cities, Kilkarney Hills Golf Club offers you top-class golf experience without the big city golf course feel. Kilkarney Hills, is easily recognized by its long driveway lined with dozens of beautiful maple trees. The driveway gives way to the stunning course built on 155 acres full of clear ponds, trees and valleys. Kilkarney Hills Golf Course reserves the right to change price and offer at anytime. Prices and offer are subject to change without notice. GolfWisconsin.com is not responsible for errors posted in this golf package.